Important to understand that MLP and Town are separate entities legally and financially. Think of MLP as a stand-alone business that you are trying to operate – separate rules for operations etc. Can you make corrections to Appendix A? Shutesbury got this from PURMA. What length of time is the standard PURMA contract and is there any flexibility? In the pole attachment applications we are being asked by Verizon for the town to carry a minimum of $3 million insurance, which we have, but National Grid is asking for proof of $5 million in insurance (we don’t carry that much). What levels of insurance is Leverett required to carry by Verizon and National Grid? There are lots of choices; business liability etc.—we were covered as MLP members; the problem is that the town insurance wasn’t adequate; amount that any one person can access becomes too small. You as a town (MLP) have to decide what you want to pay for. Would we be willing to serve without the coverage—Leverett wanted higher insurance than that. $3M insurance- the town’s insurance policy covers our bond. Now the MLP has added more insurance on that. MLP covered from town and PURMA—lots of additional insurance (exact break out and details from Marjorie). Town took out pole attachment applications and the bond but the town isn’t paying for ongoing cost—the town did the build and managed and had to deal with the pole owners and then transferred the ownership from the town to the MLP. Network in custody of MLP—can do anything they want except sell it. Town can sell it. Cannot separate until construction is done- only THEN did the MLP become the “owner” of anything (MLP existed but didn’t do anything until after). Town auditor did the work to help here. When do pole rental charges begin? Is this something we have to cover during construction? Can we confirm who we pay/how we pay for jointly owned poles? Your pole rental fee went from $18,000 to $12,000, what was the reason for this reduction? $18K to $12K—The budget line item for this in 2015 was more than 2016 because it had included the 2014 as well. Who do you use for your Audits? How often are audits conducted? Is the frequency up to Leverett or is this a requirement of insurance or state? What is encompassed in GA? Who does it and who are they accountable to? How many hours per week etc.is it? Are there other costs (e.g. Town Administrator, Treasurer etc.) that are not accounted for here? Although MLP is not required to follow procurement process Leverett does do this for clarity and transparency. Have separate Quickbooks for annual reporting- MLP manager runs that. Questions come in- some that we set polices around like setting up a new service (who quotes, what’s the quote is etc- MLP manages). Others like something doesn’t work then go to the ISP. 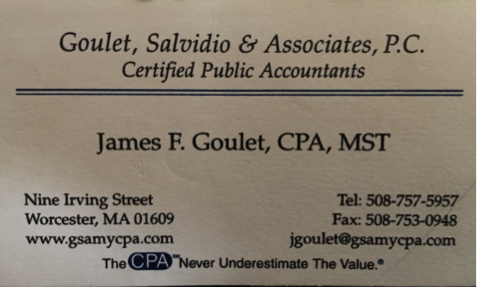 Jack Ferriter – Holyoke — is a specialized MLP lawyer that Leverett uses. Can you explain how the maintenance money flows and the contractual agreements? E.g. explain a break-fix scenario: who is responsible for identifying a network outage, diagnosing what the failure is, dispatching crew, performing repair, administering repair, accounting and follow-up. Who pays for what among all these actions? How much of this is covered by insurance? What is the insurance deductible? Any comments on that? Can you give us the numbers for maintenance costs from the first year to date? Be clear on what homeowners are responsible for- e.g. up to and including the optical network terminal belongs to town/MLP and is a town expense. If something on Ethernet etc that’s inside the house then it’s the customer expense. Homeowner digs conduit and breaks the fiber- Leverett’s maintenance contractor will fix but the customer will pay. Make sure you are clear on who pays but the work will still be done by one of the MLP contractors. Same as the phone company. MLP has a right of entry agreement with residents to access property to install and maintain on property- if you don’t have a right of entry then you cannot build to the house—need to have a contract on this. $10K deductible on PURMA all-hazards plant insurance. Routine maintenance — $60K is now the best guess we have for maintenance costs at this point, based on first year operation. How are the roles of these two companies delineated and who is responsible for holding each of them accountable to working with each other? If there was a dispute between Crocker and HGE re: responsibilities who would settle it? For the first year Leverett used HG&E (Network Operator) to handle maintenance, and now are using Collins. HG&E are still a backup. HG& E still is the network operator. Collins Electric, from Chicopee is the primary service company for serious maintenance issues, i.e. : broken cable. There is also a local electrician in Leverett who handles smaller jobs, i.e. : no power to an ONT. HG&E provide a range of services that we can tap into; Axia doesn’t deal with us- they deal with HG&E. That includes the cost for the middle mile. Contract with the network operator- you can see on the website how we present this. See public drop box (see link below under Resources) includes things like HG&E and ISP contracts. Axia won’t deal with the town- not a vetted service provider so we leverage HG&E here. Single largest cost is the backhaul here—Axia talks to the engineers rather than the Select Board. HG&E talks to them. There is a dispute resolution clause in the contract (MLP handles disputes between network operator and ISP); good checks and balances. They bring different skill sets so leverage them both. What questions should we be asking/ considering that you wished you had included from a legal perspective? Where do you suggest we build in flexible language? You currently list your legal costs at $5,000 annually. Previously it was set at $10,000. Was this expense higher leading up to and during the build, or was this adjustment due to budgeted vs. actual? If expenses were higher prior to first year of operation, do you have an itemization of these expenses? You need climate control; suggest putting into an existing building- spent $200K to do the two buildings in Leverett. Didn’t have a place in an existing building that gave outside access to technicians. Need backup power (generator). This is a build cost but need to be clear that the choice you make impacts the operations. Why did Leverett use just 5% if 8% is allowed? Is this an annual amount of money that accrues each year? Can we change that percentage each year? Who decides that? Do unused budget lines get to roll over each year and not be considered part of the “Allowed Return”? Also are budget lines able to moved around during the year? For example, in a given year you might have high electric bills and low legal expenses. Can the funds in those line items be moved around? What was the reason that you chose to base this on OPEX instead of plant? MGL Chapter 164 allows up to 8% of total cost of deploying the Plant. Leverett uses this line as a convenient place to list and operating expense contingency of 5% pf projected operating expense. .
Has to be balanced out with impact on MLP fees to subscribers and subsequently subscriber take rates (Operating costs paid by subscribers; build cost paid by tax bond). How much unpaid time and expertise goes into running the network (e.g. Committee meetings, Selectboard etc.)? Who ultimately is responsible if something goes awry? How does an MLP cover startup expenses before a steady revenue stream has been established? Are you paying a fee to the Utilities Telecom Council? How did your signups work? Subscription campaign done by Crocker as part of contract. Crocker gave 1 month ISP fee free to early sign ups. when the network was first lit? Leverett median tax bill increase to pay for bond for build is $219/year for 19 years; ½ this increase was offset by refinancing old town debt with new debt for fiber. Town is paying the General Obligation Bond (construction), since it is being repaid by taxes, there is less risk than if it were coming from subscriber revenues, therefore the bond market interest rate is lower. If the customer puts a kiosk/shelter with power at the curb, could install ONT there, homeowner would be responsible for connecting it to the house. Their contract with Crocker stipulates that Crocker has to pay 1/12th of entire year’s MLP cost every month and anything they make above that is Crocker’s profits but Crocker is also taking on the risk of low subscribership. General Liability Insurance (including Terrorism rider) Variable Based on Revenue* Note that for most towns this will be $3100 because it is the absolute minimum annual premium for this item. If you are the same size or smaller than Leverett you can expect to pay at least this much. Public Officials Liability Variable Based on Revenue* Note that for most towns this will be $3000 because it is the absolute minimum annual premium for this item. If you are the same size or smaller than Leverett you can expect to pay at least this much. Property Insurance/Asset Insurance Variable Based on value of assets. This can vary by town based on many factors but a conservative estimate is around $175 per road mile.